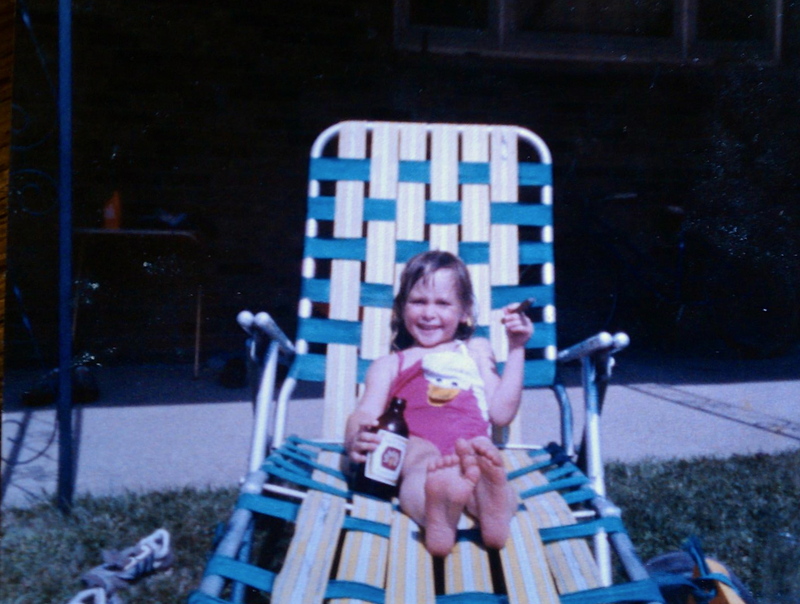 although I still find great joy in a beer and a cigar. About a year ago my friend introduced me to the idea of the manic-pixy-dream-girl. Do you know what that is? It's that ideal cute girl who randomly dances in public places, plays in the rain, and sometimes wears adorable dresses with flowers on them. I know you know what I mean. Think Natalie Portman in Garden State, Kirsten Dunst in Elizabethtown, Zooey Deschanel in, well, anything. The "idea" I was introduced to is that these girls are used as vehicles to get men to realize their true dreams in life and are therefore not real women, rather they are stock characters in quirky movies. Honestly, when my friend told me about this I was downright upset. I like to have fun. I like to randomly dance. I like to wear adorable dresses and play in the rain. So I wondered if I had just become one of those stock characters in life. Around that time I also decided I should maybe try to date people. Yup, downhill baby. Is this really how people see me?? Am I really so disposable that I help weary and downtrodden men find their own inner joy and then watch as they scamper off to date a girl who isn't quite so dance-y? An ex of mine assures me I am not so clichè. He says I just have pixie-girl tendencies. So then I was thinking, how many of those pixie girls... wait, never mind. I got nothing. He warms my heart, every single damn time. This is his latest today. My favorite line, that I truly, madly, deeply believe in, "...cuz we all mess up sometimes. The biggest mess-up - not forgiving other people's mess-ups." Word KP. I will never get sick of reading about the most beautiful bookstores in the world. This list wasn't on my radar with the others I have read over and over and I love it just as much. I want to throw on an adorable dress and dance around these bookstores with little bluebirds flying around me. Yup, I went there. Celebrate your clichès people, there could be worse things. BESOS!